Suppose your truck has been in an accident recently and has led to considerable damage. What are your options in this case? You could always pick up local listings for personal injury lawyers for accidents involving cars or trucks. Now you would want to make the most of free consultation privileges offered by many personal injury lawyers and law firms to communicate about your case. This also provides an opportunity to find out the capability of the lawyer and type of service you can expect from them. Most of the time you may feel confident about a particular choice of personal injury lawyer due to the flexible and easy proceedings in the meeting. The lawyer may have appeared quite professional and ready to take up your case but turned it down later. So, what can be the possible reasons behind such behavior? Truck Accident Lawyers intend to help you out in every possible scenario. However, there are circumstances where it is better not to pursue a case because of the excessive burden of risks as compared to the rewards in the case. The experienced truck accident attorney have a clear impression of many cases of similar types which do not yield any fruitful results. Hence, it is obvious that they do not want to waste their time or yours on a case that is destined to reach a dead end at some of the other points leaving everyone with wasted time and resources at the end. So let us explore some of the reasons for which a truck accident attorney can refuse to take up your case. Do not bother to file a case when there are no significant injuries or damages from the truck accident. Capable and experienced truck accident lawyers look out for injuries that could make a case substantially strong. For example, the injury must be continuing at the time of filing the case or must have caused inability to address family duties and engage in recreation or injuries which have caused you to change your career or job. Do not expect a truck accident attorney to take up your case if you have only suffered a few scratches from a truck accident. Your injuries should be adequately serious about validating the recovery of financial losses as well as compensation for a huge amount of pain. The next important thing that can keep truck accident lawyer away from taking up your case is the confusion regarding liability in the personal injury claim. Liability is a significant concern for personal injury attorneys as they look for some individual or organization that can be held accountable for the injuries on the grounds of intention or negligence. Accident attorneys are generally required to provide evidence in the case of four significant entities for assigning liability to another person or agency for a client’s injuries. The first aspect is a duty which implies the legal obligation of the defendant for taking reasonable care in avoiding dangerous behavior. Secondly, the breach of duty refers to the failure of the defendant in complying with their duty as well as in taking appropriate care in their behavior. Causation implies that the breach of duty by the defendant was responsible for the injuries to the plaintiff. The final aspect to prove liability is damages which are inflicted on the plaintiff alongside other issues resulting in financial losses. For example, if your truck has been in an accident with a vehicle coming from the opposite direction by breaching traffic rules, then a truck accident attorney could think of taking up your case. This is because liability is identified in this case, i.e., it was the duty of the other driver (Duty) to follow traffic rules, and he breached it (Breach of duty) that was responsible for injuries to you and your vehicle (Causation and Damages). In some cases, you may find yourself mired in comparative negligence laws that can require the assignment of blame for a specific accident to various parties. These situations could arise if you were talking on the phone or texting while driving when the accident occurred. Truck accident lawyer would not attempt such cases because comparative negligence would lead to a reduction in the amount of compensation and damage recovery. If he didn’t do it, why shall I? 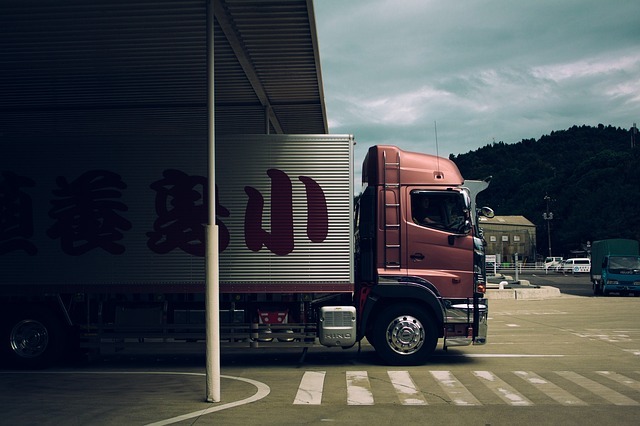 Sometimes, you may be wondering about the possible reasons for which truck accident lawyers are not taking up your case even if it is strong. This may happen if you have been making trips to many attorney offices in the locale. If the other attorneys did not take up your case, then it is most probable that the next legal professional would review your case for any reasons not to take up your case. Finally, it is inevitable to note that a truck accident attorney would never take up the case of a client with unrealistic expectations. It is true that truck accident lawyers opt for cases with prospects for maximum recovery in damages, but if the client has come out of the world expectations such as attending calls at late hours of the night and visiting without appointments, then the attorney may have to step down. These reasons could be responsible for a small or large extent in the refusal of an attorney to take up your truck accident case. However, there is no reason to worry if one attorney rejects your case. Take some time and do your research before strengthening your case and presenting it before a truck accident attorney for approval.